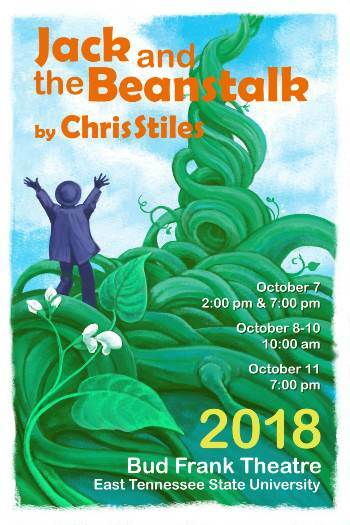 “Jack and the Beanstalk” (Oct. 7-11) is the timeless tale of a boy named Jack, his mother, a cow named Milky White, some magic beans and a giant at the top of a beanstalk. The show is written by Chris Stiles and directed and choreographed by faculty member Cara Harker. Ken Ludwig’s “Baskerville: A Sherlock Holmes Mystery” (Nov. 15-18) features the most notorious case from everyone’s favorite detective Sherlock Holmes and his loyal sidekick Dr. Watson. 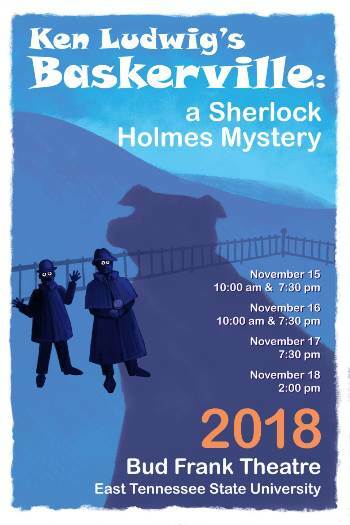 In addition to the two actors portraying Holmes and Watson, three other actors will perform nearly 40 characters in this fast-paced comedy directed by Bobby Funk. Find out if Holmes and Watson can crack the mystery of “The Hound of the Baskervilles” before a family curse dooms its newest heir. 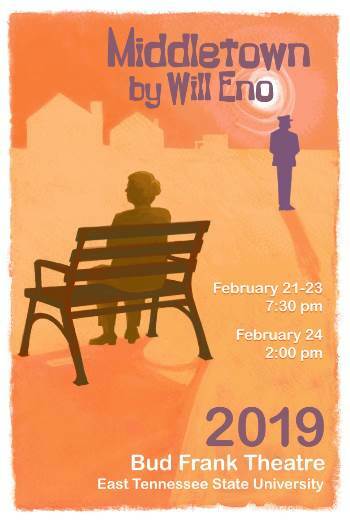 Will Eno’s “Middletown” (Feb. 21-24) will be directed by Melissa Shafer, this funny and deeply moving play takes place in a small American town where a friendship develops between a longtime resident and a newcomer. The lives of Middletown residents intersect in peculiar and emotional ways during a journey that takes them from the local library to outer space and everywhere in between. 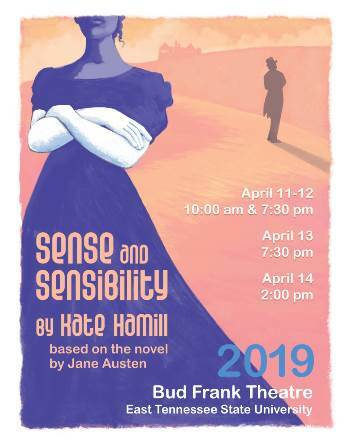 “Sense and Sensibility” (April 11-14) will close the 2018-19 season. Based on the novel by Jane Austen, the story follows the Dashwood sisters and their recently widowed mother as they embark on a new journey in life where they experience love, romance and heartbreak. It will be directed by Herb Parker and adapted by Kate Hamill. Tickets for any show are available online exclusively through the e-tix ticketing site and at the venue door, where the Box Office will open 30 minutes before the scheduled time for each performance. For more information about the season or other events sponsored by the Department of Theater and Dance, visit www.etsu.edu/theatre or call 423-439-6511.